Snorkel some of the world’s most treasured reefs, explore uninhabited deserted islands or cruise in solitude at Anantara Kihavah Villas in the Maldives’ Baa Atoll. ‘Elements Kihavah’, the resort’s experience club, offers bespoke and exhilarating adventures taking guests under, on and alongside the turquoise Indian Ocean. The coral house reef is where you’ll find turtles and eagle rays thriving in their natural habitat. 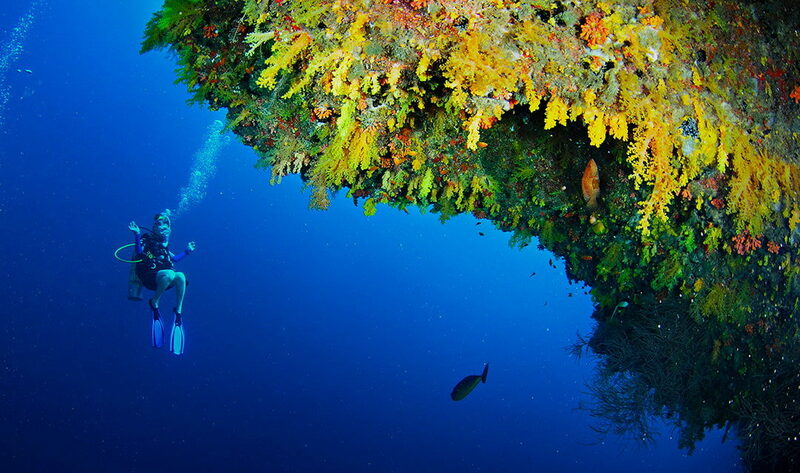 Guests are encouraged to dive the dazzling depths of the house reef’s yellow wall. Whether scuba diving or snorkelling, experienced instructors, first class rental equipment, comfortable dhonis (traditional Maldivian boat) and reef dive sites cater for both beginner and experienced explorers. Qualified dive instructors are on hand to present beginner courses or advanced courses in the open water ranging from Dive Master and Adventure Diver to Digital Underwater Photography and PADI Enriched Air Diver. Guests can join the resident marine biologist on a turtle quest or manta snorkelling excursion or take part in coral transplanting and essential research snorkelling adventures. The Ocean around Kihavah Huravalhi Island abounds with magnificent game fish such as sailfish, dorado and wahoo and the big game boat ‘Catcher’ offers hours of excellent sport fishing. The 24 metre ‘Ocean Whisperer’ sail yacht affords a private journey beyond the horizon filled with luxury and adventure. Guests can opt to explore deserted islands, hidden reefs and secret lagoons while diving or snorkelling, or simply sunbath on the sun-kissed deck. Speedboats are available for skiing and wakeboarding, whilst ‘Duet’, a wooden Maldivian sailing dhoni, offers a traditional alternative. Ostensibly designed for romance, it is perfect for intimate sunset sailing with a significant other. Other exhilarating options include cutting edge windsurfing rigs, catamarans, parasailing, kite surfing, jet bikes and water skiing. Anantara Kihavah Villas also offers an array of land-based activities for fitness fanatics, foodies and lovers of all things cultural. Recreation and leisure facilities include a tennis court, bicycles, a fitness centre with premium Technogym equipment, Muay Thai Boxing, trampoline park, table tennis, billiards, boutique, gift shop and art gallery. 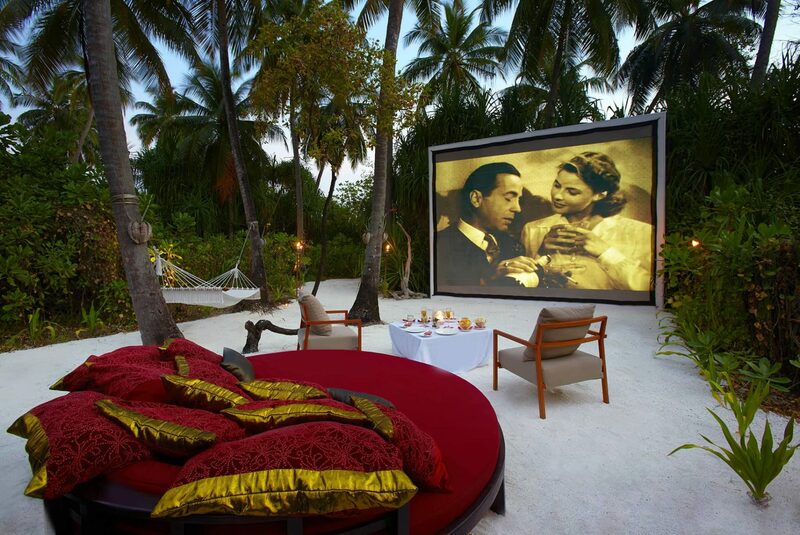 Movie buffs are transported back in time to enjoy classic movies under the stars on a big outdoor screen. In-Villa entertainment includes Backgammon, Chess, a selection of easy reading and inspirational books, DVD player and a Bose home theatre system and iPod docking station. The resort has a specially-designed ‘Thiththi Boli Kids Club’ for younger guests of 12 and under offering complimentary daily supervised programmes, fun arts and crafts activities, indoor and outdoor sports and games and kids are even introduced to new activities inspired by local culture and the natural marine surroundings. The Club also offers cooking classes and spa treatments. Traditional Maldivian activities invite guests to delve beneath the surface of this fascinating culture, with an array of experiences and excursions that stir the senses and arouse the imagination. Guests can tune into the authentic rhythm of Maldivian life by learning how to play the Bodu Beru drums or visit a nearby island where displays of Chinese pottery recovered from reef wrecks, shipbuilding tools, traditional dresses rarely seen in modern Maldivian society and weaving afford a glimpse into this island nation’s history. Foodies will delight in Maldivian and Thai cooking classes, joining a resident mixologist and barista to mix exotic beverages, or take a journey through the vineyards of the world in the underwater wine cellar at ‘Sea’. Other island journeys steeped in exotic rejuvenation and deep relaxation can be found at the Anantara Spa which offers a range of therapeutic treatments including traditional Asian therapies, modern medical spa treatments and ancient ayurvedic wellness. Those in need of mindful exercise can reconnect to their natural flow with Hatha Yoga, an Aerial Yoga class suspended over the ocean or SUP Yoga. Anantara Kihavah Villas is passionate about bringing story collecting travellers closer to the allures of this beautiful paradise island. Maldives is the smallest country in Asia. The country has been recognized by its beauty and the uniqueness of how the archipelago of the islands has formed. The Maldives are located south-west of Sri-Lanka and India in the Indian Ocean. There are almost 1,192 small coral islands grouped and 26 naturally formed atolls. The islands of the Maldives are spread across an area over 90,000 square kilometers and compromises over 200 inhabited islands. Almost 122 islands are developed as tourist resorts, and over 78 islands are considered being used for agricultural use and other livelihood purposes.